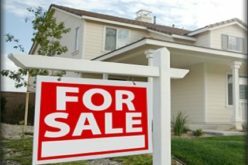 The housing market is just beginning to start its annual heat up, just as winter’s cold releases its icy grip on much of the nation. Spring is the season when homes come on the market and when buyers hit open houses and scour newspapers or magazines to review local inventory. Increasingly, both buyers and sellers are turning to the internet when it comes to the buying and selling of homes. Yes, over the past few years the internet has revolutionized the way people do any kind of research including how they find, purchase, and finance their homes. Creating their own web pages to showcase their homes. By utilizing free web pages through their web host, sellers are uploading pictures, writing copy, sharing information about their homes for all of the world to see. Listing their homes on existing sites. Some homeowners avoid personal web pages or supplement them by listing their homes on for sale by owner (FSBO) sites. Established sites already have a strong track record and are regularly visited by home buyers. Listing their homes on specialty sites. Craigslist is one site where people can feature their homes and reach a wide audience. In most markets there is no fee charged and scores of new listings are added regularly. Even realtors have gotten into the mix and are showcasing client homes there. Of course, using any online service involves risk and you may not be able to sell your home. Then again, you could save thousands of dollars on realtor commissions, a big appeal for homeowners who want to reach the masses on their own.